Swanson's Lawn Maintenance Service, Inc. Comment: need by back yard cut, weedwacked and cleaned up, front yard needs one bush trimmed and some edging. Comment: We are looking for someone to maintain our lawn weekly (mow, weed-eat, edge). Our lawn is fairly small with a fenced back yard. We do have 2 dogs and some things in the yard that need to be moved in order for the grass to be cut (extension cords, some small yard things, furniture, etc.) We can have all of that out of your way every time our grass is moved as long as we know the time and day of the service. We are currently doing some research and came across your site. I would like some information about how much that will cost a week and how setting up a schedule will work. Metairie Lawn Care Services are rated 4.70 out of 5 based on 487 reviews of 42 pros. 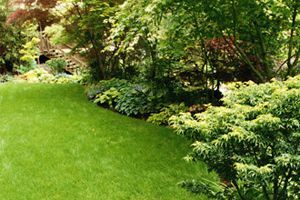 Not Looking for Lawn & Garden Care Contractors in Metairie, LA?